Anantara Riverside is hidden in nature at Bangkok's Chao Phraya River. This tropical resort gem with world-class facilities and restaurants wow guests writing loving credits about this Bangkok resort. Anantara Riverside is hidden in nature at Bangkok’s Chao Phraya River. This tropical resort gem with world-class facilities and restaurants wow guests writing loving credits about this Bangkok resort. 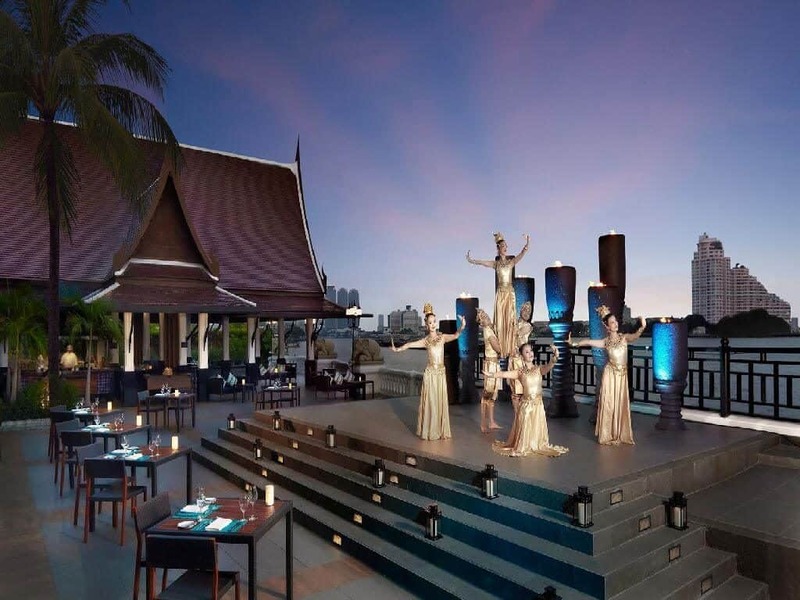 Basking in the most impressive location on the soothing banks of the Chao Phraya River, the Anantara Riverside Bangkok Resort is a unique oasis amidst the chaos of Bangkok City. With breathtaking views of the river and of the Bangkok skyline, not many hotels in the city can match Anantara in terms of hospitality, mesmerizing views and a central location. Located amongst 11 acres of prime riverside land, Anantara is a luxury 5-star hotel that ranks as one of the best resorts in Bangkok. Offering a stunning selection of rooms and world-class facilities that include 10 bars/restaurants. Each restaurant offers a wide variety of local and international cuisine types, this hotel is for those who love choice. With one of the most highly rated spas in Bangkok and their lifestyle complex at the Asiatique Night-Market, which is a cutting-edge shopping and nightlife centre, Anantara expertly merges traditional Thai culture and design values with a Western-style luxury and flair. Book this Bangkok hotel. Tech-Con Thailand will group together guests, speakers and experts from Southeast Asia and across the globe. The event promises to be two ‘high density, jam-packed, highly-educational’ days of sharing best practice with leaders showcasing the latest technology and networking links across the industry.